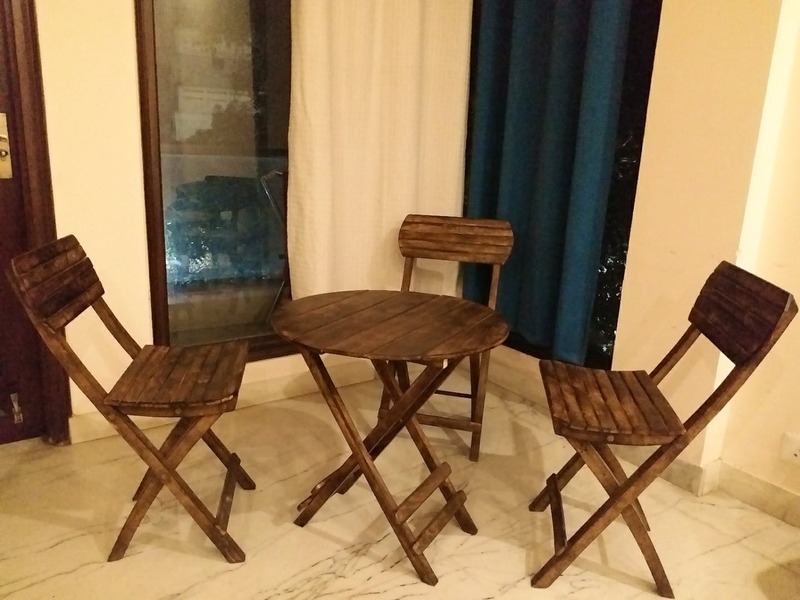 This fine wood coffee table set from Amar Colony furniture market makes my room look spacious. Besides that, it is foldable, making it easier for me to move it around. I had to check out a few stores to get this table set at the best possible price but it was totally worth it. We could have bought more furniture had some sellers not been so annoying. You will have to bargain, the sellers might seem uninterested but eventually, with persuasion, they will cave in. And don't forget to take the seller's contact details, they'll offer better discounts and even customise furniture in the future. Try visiting during daytime as the place is dim lit, which might not work well when checking out the furniture for any defects/damage before making the actual purchase.